Chains and sidewinders can be ordered in a range of colours. Shown here in black such as black. 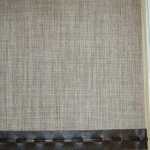 Roller blinds can be a very useful window treatment. If you have dismissed them out of hand it may be time to think again. Roller blinds take up minimal space above the window and work well in kitchens or bathrooms. 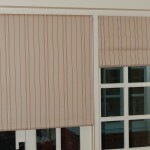 They can also be an effective blackout solution in a bedroom, either on their own or behind curtains or a roman blind. Roller blinds in a contemporary fabric with platinum or chrome fittings are a great solution on bifold doors. 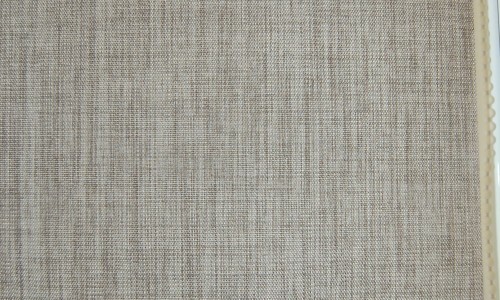 Roller blinds now come in a wide range of designs from voiles to plains to patterns. 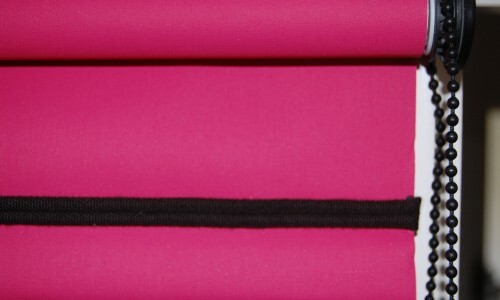 Trimmings or pulls can add interest to plain fabrics. 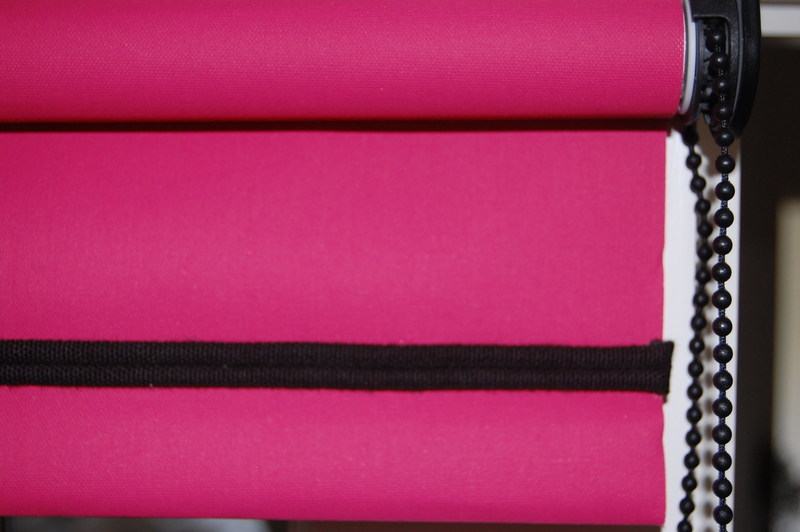 For the ultimate bespoke solution roller blinds can be made up in a customer’s own fabric. This is often done when a customer would like a roller blind to match curtains or roman blinds in the same room – an example of which can be seen above. 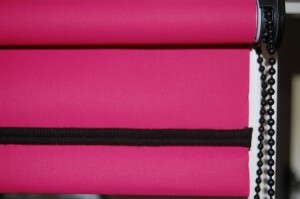 Please contact Diana Murray Interiors if you would like to see our range of roller blinds.